Oxford City Council and Oxfordshire County Council have published new proposals for a Zero Emission Zone (ZEZ) in the city centre. Under new phased plans, all non-zero emission vehicles could be banned from parking and loading during certain hours from 2020, while in a larger zone the requirement will be Euro 6 for buses. The original 2017 proposals suggested high polluting private vehicles would be restricted from entering the city from 2020, but these plans have now been dropped following a public consultation. Instead, the council say they will ‘accelerate’ the ZEZ from 2022 to 2035, and are ‘considering’ further measures such as a total ban on any non-zero emission vehicle entering the city centre. Councillors will decide on Hackney carriage licensing changes this month which would see only zero-emission hackney carriage taxis allowed in the city centre by 2022. Sajad Khan, Secretary of the City of Oxford Licensed Taxicab Association (COLTA), welcomed the proposals, saying a phased approach gives drivers ‘certainty’ and allows drivers to plan their future vehicle purchases. ‘We will continue our engagement with the City Council as the ZEZ develops, share our experiences, and work together to achieve a practical Zone for all Hackney Carriage drivers and Oxford,’ he added. The phased approach follows consultation with city centre businesses, market traders, bus companies, taxi drivers and operators, University of Oxford colleges and environmental groups, with 71% either ‘strongly supporting’ or ‘supporting’ a phased ZEZ. Tom Hayes, Oxford City Council executive board member for A Safer and Greener Environment, said: ‘Oxford’s pioneering approach to cleaning up polluted air and saving lives takes a leap forward with the development of our Zero Emission Zone. 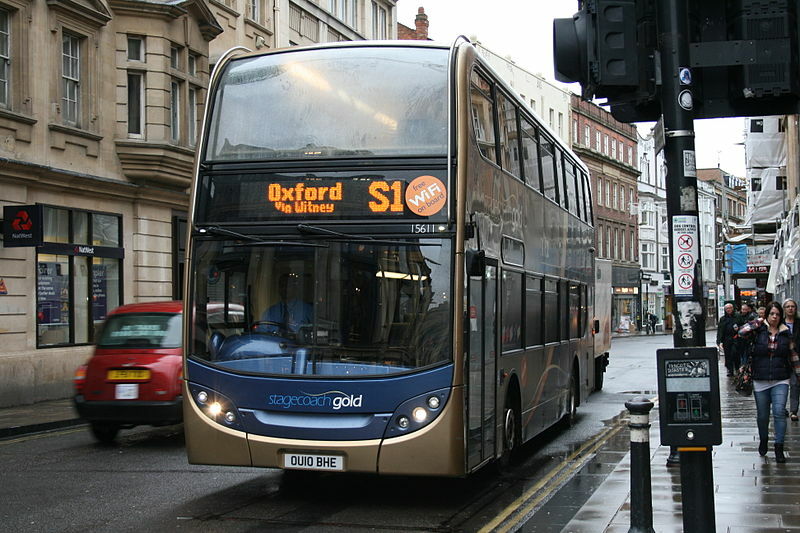 Phil Southall, managing director of Oxford Bus Company, added: ‘I very much welcome the phased approach that the local authorities have taken to introducing the Zero Emission Zone and this makes its delivery challenging but much more realistic. ‘Whilst a number of our buses already meet the Euro 6 standard and others will be upgraded in the coming months, we still need to purchase further vehicles to deliver an Ultra-Low Emission Zone in late 2020 but we are confident that we can achieve this within the time frame. In August, Oxford City Council appealed to the Environment Secretary, Michael Gove, to provide greater funding to councils to address air pollution and to tighten air quality standards after Brexit.